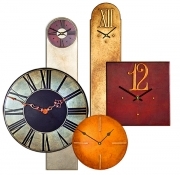 The nice thing about handmade clocks is that you can get the mantel clock or wall clock you want in terms of the style, finish & size. 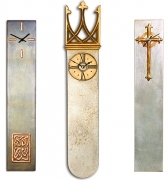 Even better, all my Mantel Clocks & Wall Clocks are designed & made by myself and you will be able to afford this level of craftsmanship & service as you are buying direct from the maker.After 20 years designing & making decorative & contemporary clocks I have been able to build up an impressive range of clock styles & designs encompassing the major decorative movements including Gothic clocks, Palladian Clocks, Empire Clocks, Regency Clocks, Art Deco Clocks as well as historically inspired styles like Egyptian, Romanesque and Celtic. 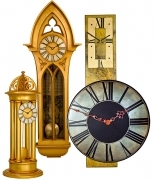 I'm always looking to add new designs to my Clock Collection so if you are after a specific style or design of mantle clock or wall clock then get in touch as it might be one to add to my collection. 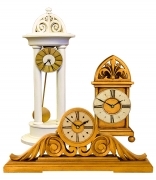 All our clocks are handmade to the highest quality. 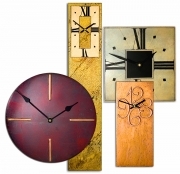 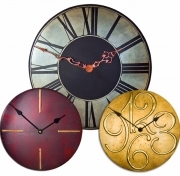 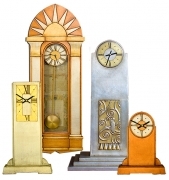 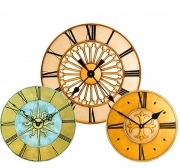 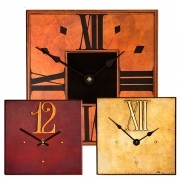 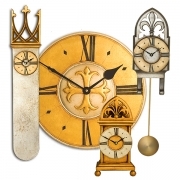 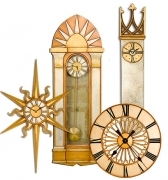 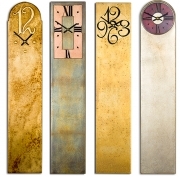 Choose from rectangular wall clocks to contemporary mantel clocks. 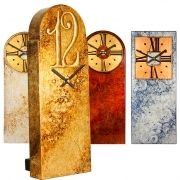 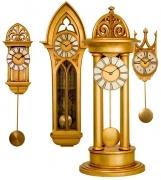 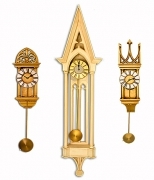 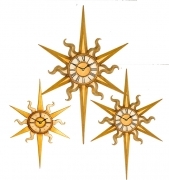 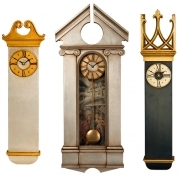 All our decorative clocks look stunning and I am certain that you won't be disappointed.